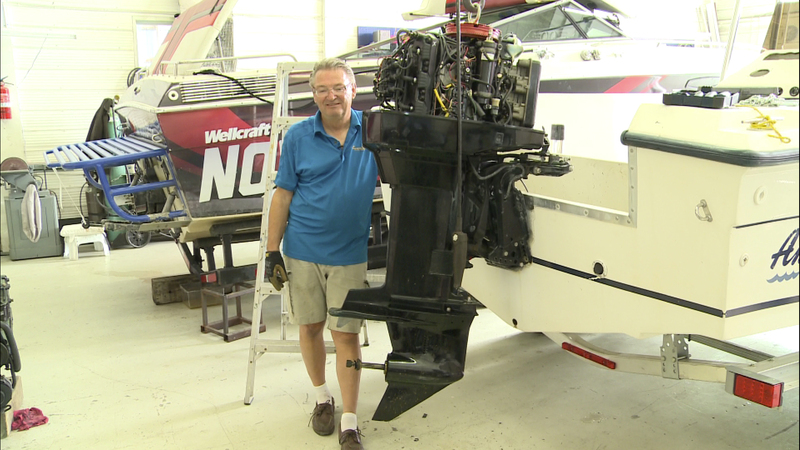 Repowering a boat is a big decision. 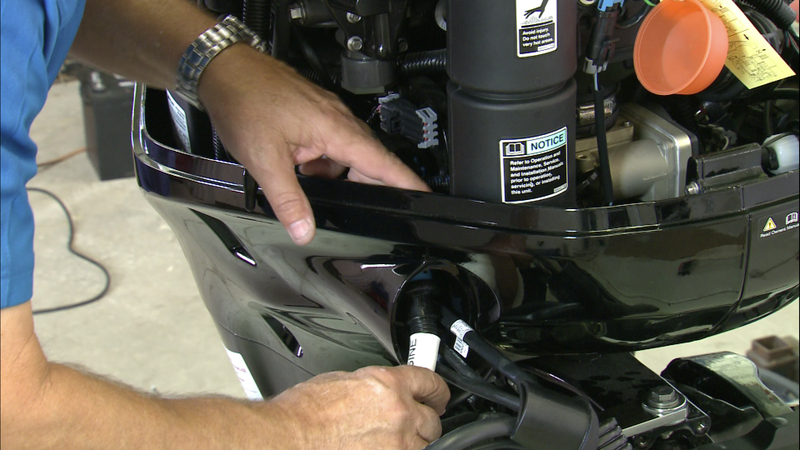 If your boat is reasonably new and the engine needs replacing, it’s a simple choice, go ahead. But, what if your boat is an older model? We faced that question this past summer when presented with 22-year-old centre console. The owner loved the boat, had owned it for some time and was in no hurry to replace it, just the old and now tired 150 hp two-stroke that powered it. First we had to determine if the boat’s condition was worthwhile enough to repower. On the surface it looked to be in good shape, but to be safe, we had the owner tow the boat to Central Marine in Midland, Ont., the Mercury dealer we would be working with, for a detailed examination of the hull. I was able to visually inspect and sound the hull and transom for water, rot and any structural concerns. Inspections revealed no issues, so we went ahead with the repower project. It was decided that the original Mercury 150 hp, 2.5L XR6 TwoStroke would be replaced by a state of the art Mercury Verado 175. The 175 is an intercooled and supercharged 1.7L inline four-cylinder. It weighs 510 lbs—or 231 kg—and is 94 lbs heavier than the old XR6. Since the new Verado is fully digital, everything pertaining to the old motor had to be removed from the boat like the instruments, wiring, controls and steering. Next the seats, console and T-top were unbolted. The deck hatch that accesses the fuel tank and bilge was removed so we could inspect the condition of the aluminum gas tank. I took the opportunity to clean the tank and bilge, run a new fuel line and install and wire the new fuel sender. In Central Marine’s shop, with the four transom bolts removed, a power hoist made quick work of lifting the old motor off of the transom. Scrapers and solvents were used to clean off the old caulking in preparation for the new motor. The cowl removed, a lifting eye was installed and the new motor was elevated into position and aligned with the existing holes. 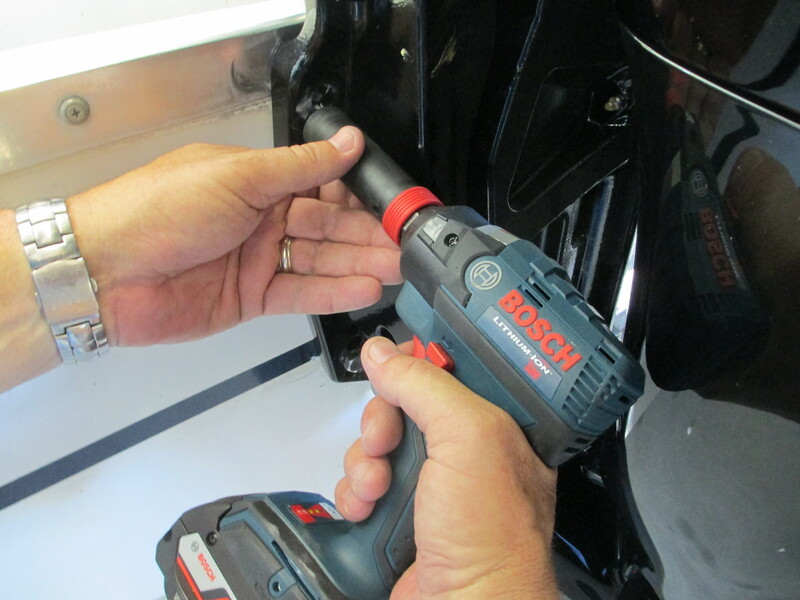 After applying marine caulking, the new bolts were driven through the transom and the washers and nuts secured. 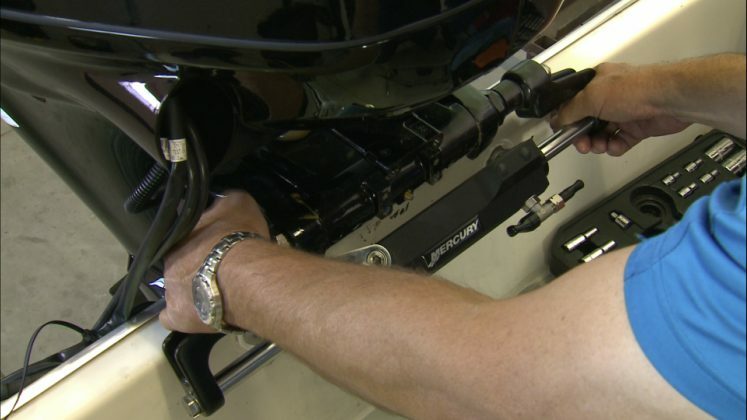 The upgrade in power also required a new hydraulic steering system. After fabricating a plate for the helm, the new pump was bolted in place. Next the gauges were installed in the existing cut outs on the panel. 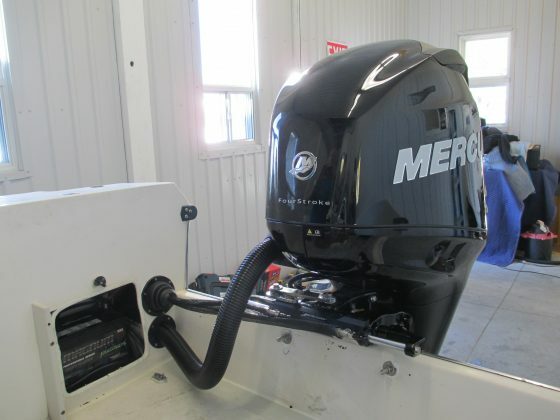 To fill the spaces we had selected a multifunction Mercury MercMonitor and fuel, volt and trim gauges. The last three are redundant since this data is available on the MercMonitor, but they filled the existing holes. 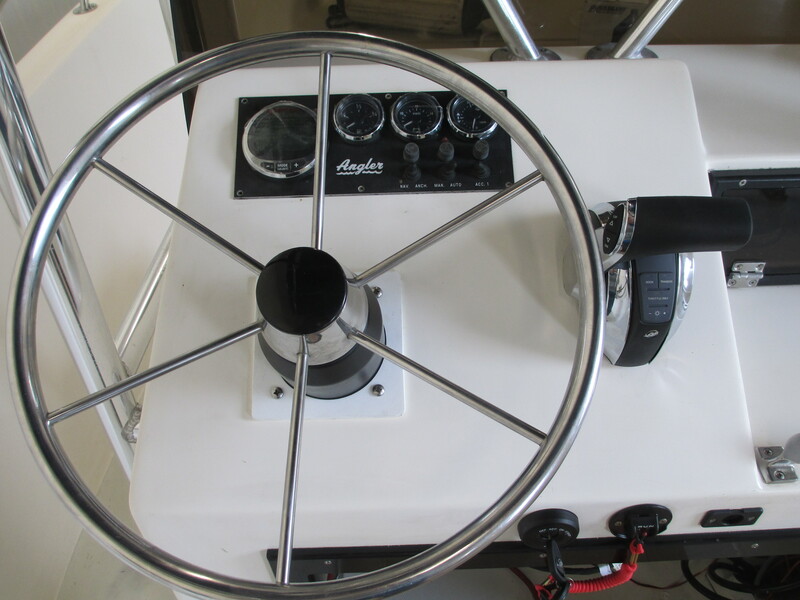 After making some modifications and drilling new holes in the helm, a single binnacle Digital Throttle and Shift was installed—a big improvement over the old cable system. We applied some anti-seize to the helm pump shaft and slipped on and secured the wheel. The last items to be installed on the helm were the new key switch, designed to work with the DTS system, and the lanyard stop switch. Both of these fit into the existing locations. 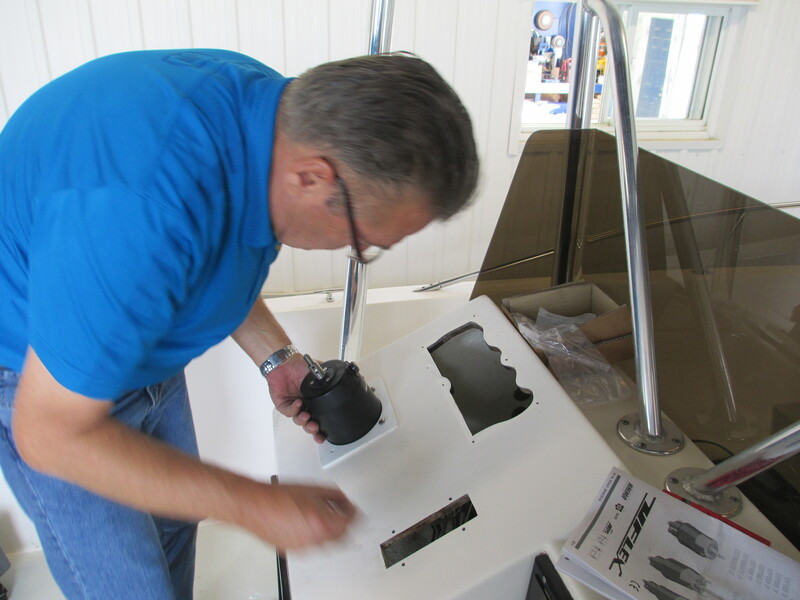 Back at the transom, the next hardware to be installed was the low-pressure hydraulic steering cylinder that matched the new pump. As with all of the components, Mercury provided detailed instructions so I was able to install fairly easily. First the collars on the motor’s tilt tube were placed, then using the spacers and washers, the steering cylinder on the motor with the tie-rod was installed. Anti-seize was applied to all the stainless components, including the tie-rod nuts before they were secured. Next the motor was centred, collars were adjusted and setscrews were tightened on the tie-rod to remove any play. Finally the steering link arm was connected to the motor. The last mechanical work was to install the hydraulic hoses for the steering. Utilizing a fish line that I had pulled into place when removing the old wiring and hydraulic lines, I was able to pull the two new hoses through the raceway from the helm to the transom. 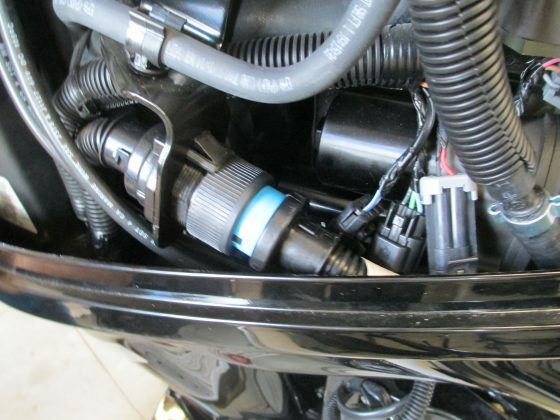 Under the helm, the hoses were attached to pump connectors with the installed fitting. Both the pump and the hoses are marked port and starboard to ensure the right connections. At the transom I slid a rigging boot over the hoses and connected the hoses to the port and starboard cylinder fittings. With the mechanical work complete, it was time to tackle the rigging. The Verado 175 is designed for the digital age with full integration of engine control, functions and data across a network that interfaces with digital controls and instruments on CAN and NMEA 2000 network. Mercury calls their system SmartCraft. While the harnesses may look complex, when broken down by application or function they begin to make sense. 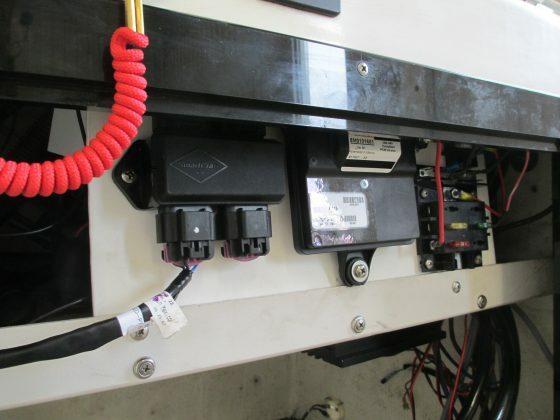 What can be confusing is all of the extra harness branches and connectors for systems your installation may not have. To make sense of it all, I laid out the harness on the shop floor to match the master schematic for this single engine, single DTS control installation and reviewed all of the detailed instructions that came with each component to plan out the install. 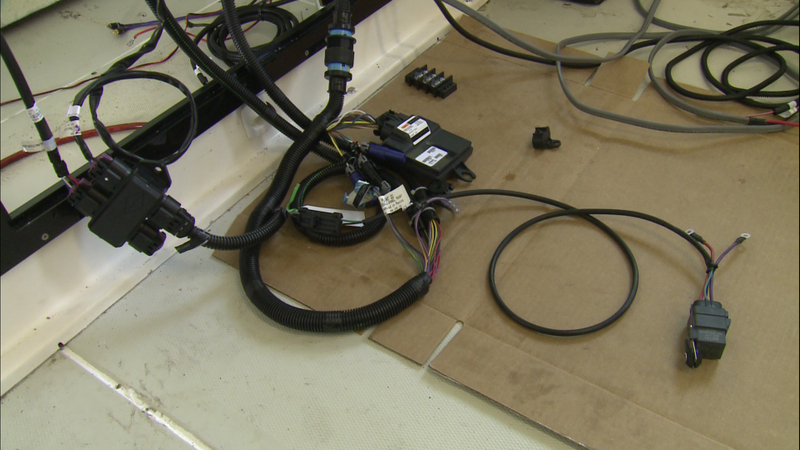 Task one was to bundle the main 14-pin data harness, accessory power harness and optional fuel/paddle wheel harness together with tape then to pull them through the raceway from the helm to the transom. Inside the helm, I started with the command module harness. First, I connected the lever 1 and handle connector into the DTS control then connected the ignition and stop switch. On the deck, the harness was also plugged into the junction box. Back at the helm I plugged the MercMonitor harness into the monitor and into the first gauge. The link gauges are interconnected or linked in a row. I also plugged this system harness and the DTS harness into the junction box and covered the spare connector with a cap. The last components to be plugged in to this were the control module and accessory relay harness, then the full harness was plugged into the 14-pin data harness connection and all instruments and controls to the motor. After a final inspection, the junction box, command module and accessory relay to the power harness terminal block were mounted on the starboard side and installed in the console. The positive and negative power harness leads were connected to the terminal. Back at the engine, things are easier. 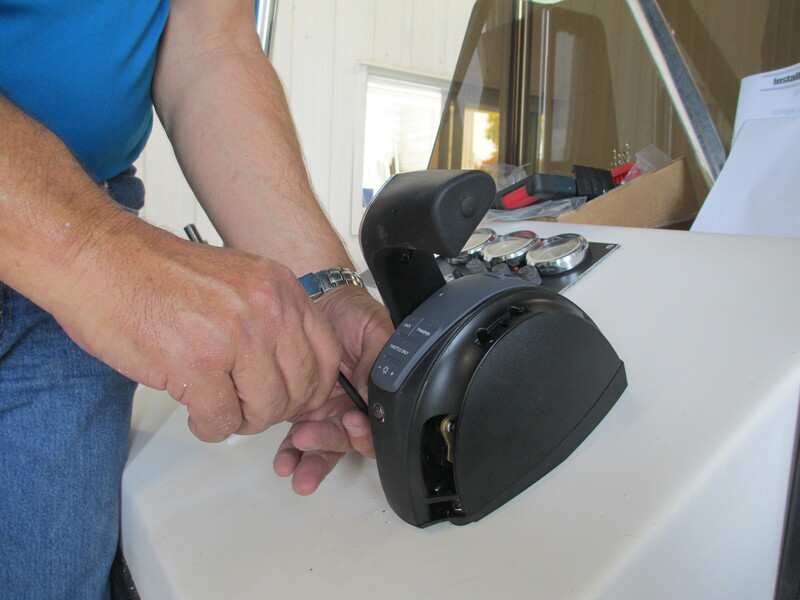 Task one was to use a hole saw to cut a hole in the side of the boat well below the hydraulic hose outlet and install the collar for the Verado’s rigging tube. 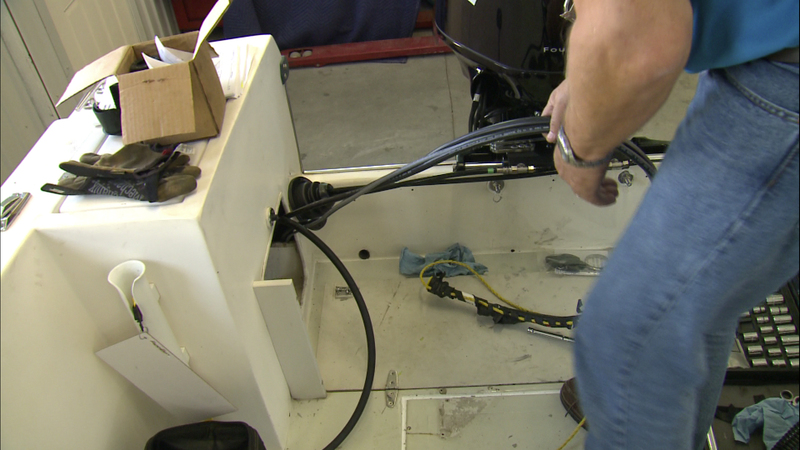 The data cable, fuel/paddle wheel harness and fuel line were then fed through the collar into the transom well. From the motor, the battery cables and DTS power harness were fed through the rigging tube and in the reverse the data cable and fuel/paddle wheel harness were fed through the tube to the motor. Inside the cowl, I had to hook up the fuel line plug in the 14-pin data cable and fuel/paddle wheel harness into the vessel system harness. I connected the accessory power harness to the battery to power items at the helm. From the motor, the DTS power harness and battery cables were connected to the battery as well. I then tidied up the harnesses and secured both ends of the rigging tube. 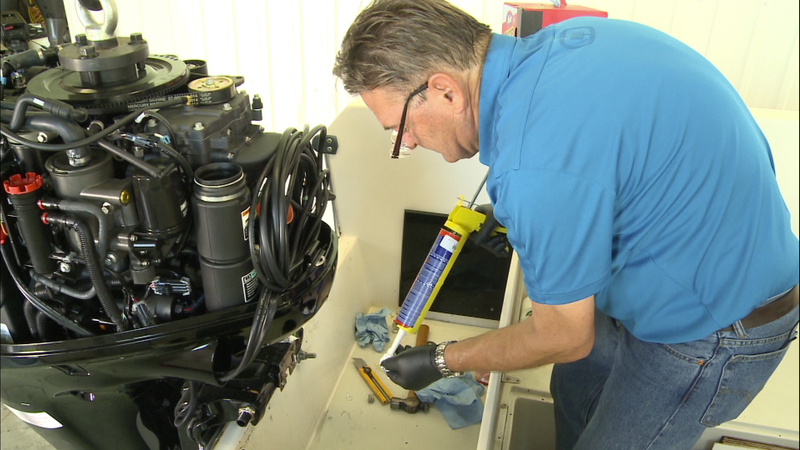 The last step was to call on Central Marine’s expertise to fill and purge the hydraulic steering system and use their Mercury Verado service computer to calibrate the DTS. Finally it was time for the test. After clamping the muffs on the lower unit and turning on the water, I turned the key and the Verado fired up straight away. This article was featured in the 2017 season of PowerBoat Television and in the Winter 2017 issue of Boats&Places.